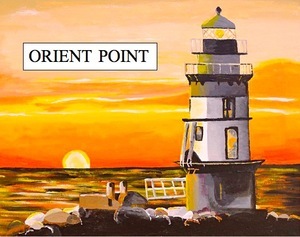 The setting for this romance is the austere Orient Point lighthouse at the tip Long Island. As the tale unfolds, two different couples, separated by more than a century, not only share the lighthouse, but also the obstacles of finding lasting love in their rapidly changing worlds . The challenges for modern day Josh and his fiance Marcie, are just as complicated as those for lovers Edward and Mary Francis in 1902. This play examines the bittersweet battleground between our own needs and the deep love we have for those we hold most dear.